We specialize in the teacup and tiny toy poodles. All of our puppies are AKC registered and have been raised in a loving environment. 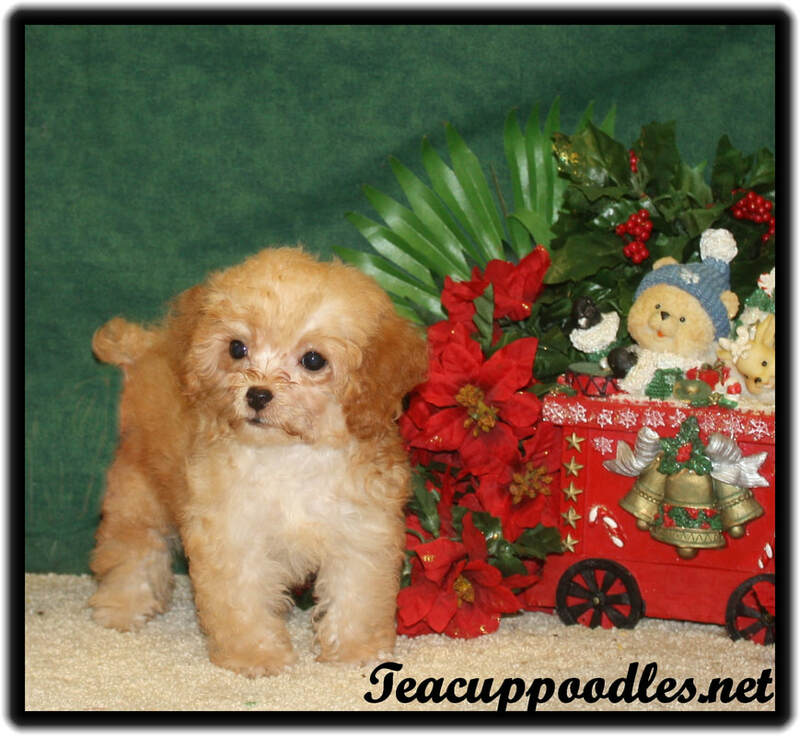 We have all colors of teacup poodles, including white, black, red, silver, chocolate, and parties. ​Please E-Mail Us with any questions or comments that you may have. I breed poodle puppies for health and size quality, not quantity. My teacup poodles and tiny toy poodles are healthy as the Standard Poodles, Miniature Poodles and Toy Poodles, but found in smaller loving packages. I do not breed Father/Daughter or Mother/Son. It is a known fact that I raise top quality poodle puppies in health and disposition. All our poodle puppies are American Kennel Club registered. My obligation does not stop when you purchase one of our teacup poodles or tiny toy poodle puppies. I will be here for as long as you need me, so if you have a teacup poodles problem down the road maybe I will be of some help. I will be here 24 poodle hours a day. You can call me on our teacup poodles hotline at 318-386-6276 or e-mail me at info@ goldiesyorkies.com if there is a teacup poodles problem. My name is Goldie and this is our teacup poodles story. 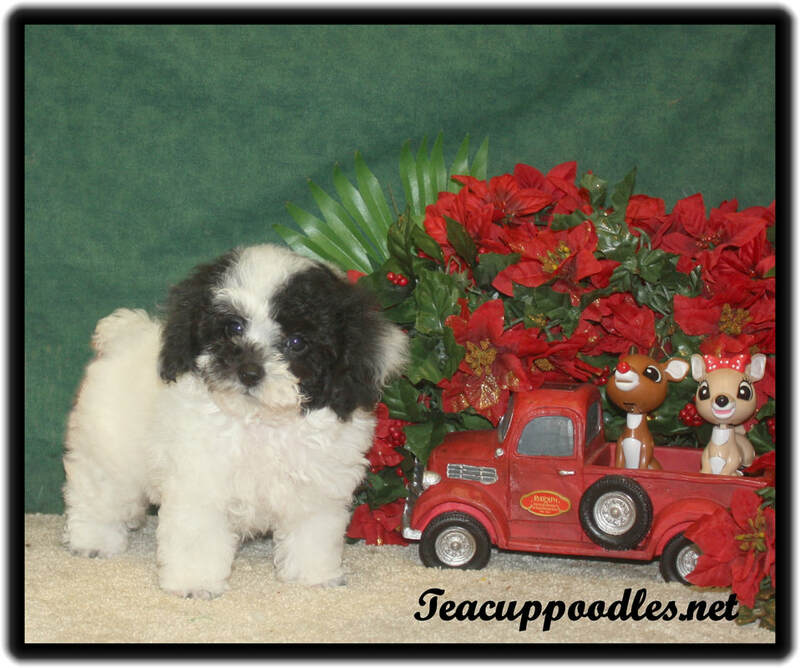 I would like for you to take a look around our teacup poodles site to view our beautiful teacup poodles and tiny toy poodle puppies. 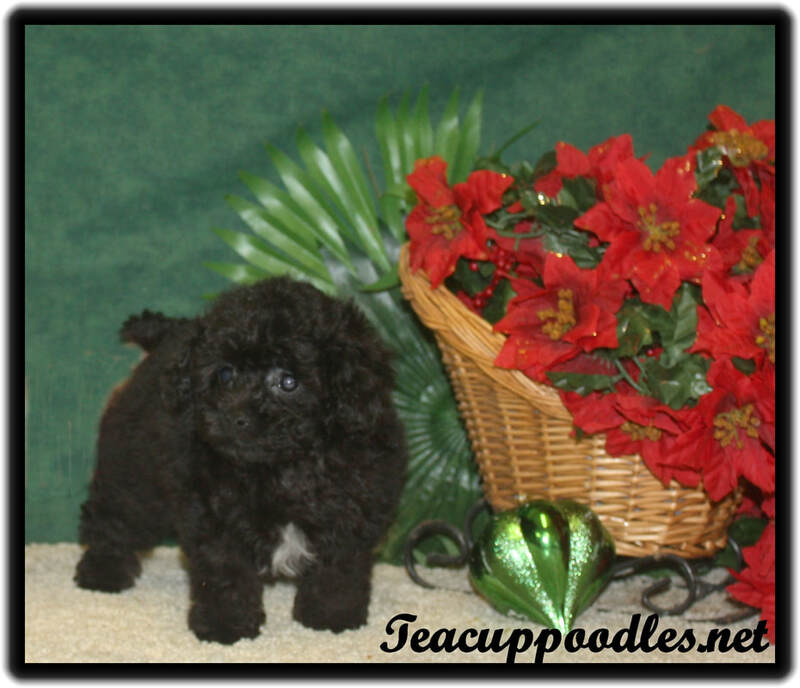 Our teacup poodles have coats of many colors such as: white, black, red, apricot, silver, chocolate and parti. 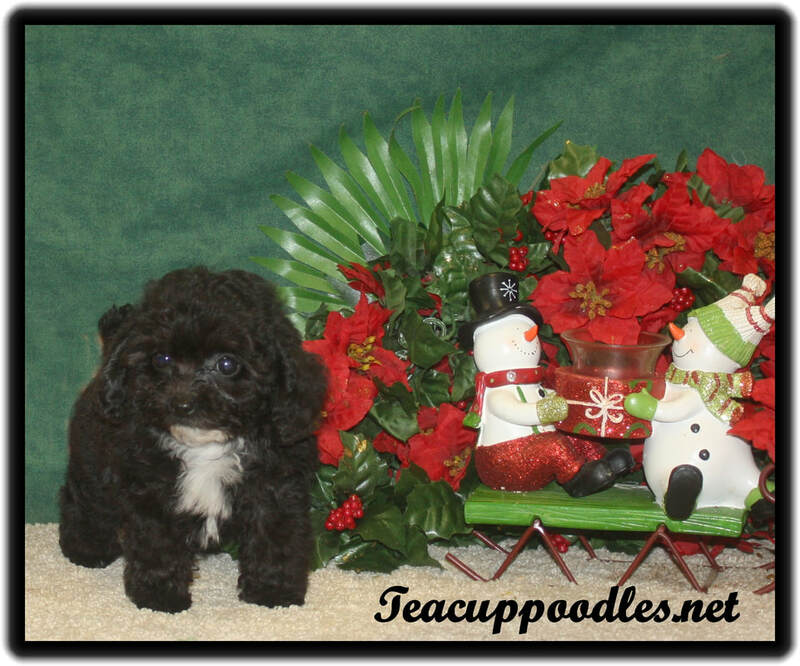 I have been raising teacup poodle puppies for nearly 18 years, so you are sure to get the best teacup poodles and tiny toy poodle puppies in the United States. I hand-raise all my teacup poodles and tiny toy poodle puppies. My home is usually full of teacup poodles and tiny toy poodle puppies running around and playing. When teacup poodles playtime is over, teacup poodles and tiny toy poodle puppies need a nice safe place to unwind and take a teacup poodles nap. Teacup poodles and tiny toy poodle puppies are inquisitive and love to investigate everything. So for their teacup poodles protection they need a place where they can be safe. After all you can’t watch teacup poodle puppies every minute of every single teacup poodles day. We accept VISA, MasterCard, American Express, Money Orders, Cashier Checks, Business or Personal Checks**, and Cash***Allow 14 business days for personal or business checks to clear before shipment is made. Cash must be of US currency only. We ship on direct flights anywhere in the continental U.S.! Price and availability may change at any time. Please call or E-mail for current pricing. 1. Puppies must be examined by a licensed Veterinarian within 48 hours after purchase at your expense. 2. If your, the purchaser, veterinarian finds cause for the return of your puppy for any health reason, Me, the seller must be informed within 48 hours of purchase. Our veterinarian shall be allowed to examine the puppy again. We are not responsible for any vet bills on your puppy without prior arrangements with me. 3. Provided that both your and my veterinarian agree that there is a reasonable cause for return of your puppy, I have the option within 48 hours from the time of purchase to refund purchase price or replace the puppy originally purchased. 4. Purchaser shall have no right to demand refund of purchase price and agree to accept replacement of the sick puppy if I chose to replace your puppy. 5. If your puppy dies within 48 hours of purchase, you must have an autopsy performed at Diagnostic Laboratory, at your expense to determine case of death. Puppy will be replaced or refunded at my option, only if the death was caused by an illness which your puppy had prior to the time of sale, providing all the terms of 1,2,3, and 4 of this contract are followed.